Governor Rick Scott and Florida’s 2nd Judicial Circuit State Attorney Willie Meggs… Liberty County Sheriff Nick Finch and Gadsden County Sheriff Morris Young… Political Action? Tallahassee, FL—It has been about two weeks since Leon County Sheriff Larry Campbell died from Cancer. 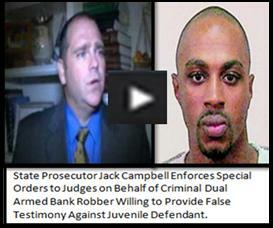 Sheriff Campbell employed two of 2nd Judicial Circuit State Attorney Willie Meggs’ adult children. Leon County Sheriff Larry Campbell’s son, John “Jack” Campbell, is employed by State Attorney Willie Meggs as an Assistant State Attorney/Prosecutor. Leon County Sheriff Larry Campbell and State Attorney Willie Meggs—this crime family—operated deceptively in Tallahassee for more than two decades. In June 2013, Governor Rick Scott suspended Liberty County Sheriff Nick Finch without pay, after allegation that Sheriff Finch order jailers to release an inmate. Instead of State Attorney Willie Meggs, himself, prosecuting the case, Willie Meggs assigned Assistant State Attorney/Prosecutor Jack Campbell as lead prosecutor. In October 2013, a jury acquitted Liberty County Sheriff Nick Finch. Sheriff Finch resumed his duties as sheriff. In September 2014, State Attorney Willie Meggs filed documents seeking to have Gadsden County Sheriff Morris Young in Contempt of Court. Rewind back to late June 2012, Assistant State Attorney/Prosecutor Jack Campbell and State Attorney Investigator Jason Newlin—both employees of State Attorney Willie Meggs—arranged for the release of Leon County Jail inmate, 28-year-old Dawuan Williams to be released from the Leon County Jail within an hour of Mr. Williams agreeing to assist the State Attorney’s Office set up another Leon County Jail teenage inmate, DeShon Thomas. Mr. Williams was brought to the Leon County Jail from Tifton, Georgia by the Southeast Regional Fugitive Task Force, after it was reported that he was wanted for the Armed Bank Robberies of two banks in Tallahassee. After Mr. Williams was released from the Leon County Jail, both State Attorney Willie Meggs’ office and the Leon County Sheriff Larry Campbell’s office financially provided for Mr. Williams. Along with Mr. Williams, the State Attorney’s Office recruited Leon County Sheriff’s Deputy Ronald O’Brien to smuggle contraband from Mr. Williams to DeShon Thomas into the Leon County Jail. Once the additional charges were filed against DeShon Thomas, Mr. Williams was no longer being financially supported by the State Attorney’s Office or the Sheriff’s Office. In August 2012, it is believed that State Attorney Willie Meggs misled citizens in Leon County and other surrounding counties into believing that they were safe from Mr. Dawuan Williams—when in fact, they were not. Without any means of financial support, instead of Mr. Williams robbing more banks, it is documented that Mr. Williams went to neighboring Gadsden County and committed an Armed Home Invasion Robbery, a Kidnapping and a slew of other felony charges—adding to his own personal list of crime victims—thanks to State Attorney Willie Meggs and Leon County Sheriff Larry Campbell’s offices. Governor Rick Scott, Attorney General Pam Bondi, former Florida Department Law Enforcement Commissioner Gerald Bailey, The Florida Bar, and the Judicial Qualifications Commission (an organization of Governor Scott’s favorable) have all refused to address complaints of corruption that is embedded in Tallahassee (Leon County) government. It’s no wonder why the citizens of Tallahassee recently voted to enact an Anti-Corruption Amendment for their city. Tallahassee is the capital city of Florida—what a disgrace it is for such a place to be plagued with so much corruption. Recently, it was reported that Second Judicial Circuit Chief Judge Charles Francis declined to appoint a single appointee to the newly created Ethics Board as it is stated for the Second Judicial Circuit Chief Judge to appoint a member in the Anti-Corruption Amendment. (Is anyone surprised by Chief Judge Charles Francis’ decision to decline to appoint someone? Think about this—a few of the Second Circuit Judges were once Assistant Attorneys/Prosecutors of State Attorney Willie Meggs and co-workers of Assistant State Attorney/Prosecutor Jack Campbell. With Assistant State Attorney Jack Campbell telling judges what to do—there’s no telling what State Attorney Willie Meggs—their once former boss—has told the judges what to do i.e. sign legal documents containing false information. Governor Rick Scott’s mansion is less than five blocks away from the Leon County Courthouse where State Attorney Willie Meggs’ office is located. Governor Scott and State Attorney Willie Meggs have had the actions of two elected sheriffs—Finch and Young—both in the Second Judicial Circuit—appear in front of judges to defend their actions. While complaints about actions of both the Leon County Sheriff’s office and State Attorney Willie Meggs’ office filed with Governor Scott’s office and the Florida Department of Law Enforcement have gone without resolve. Author MAUL10Posted on January 7, 2015 Leave a comment on Governor Rick Scott and Florida’s 2nd Judicial Circuit State Attorney Willie Meggs… Liberty County Sheriff Nick Finch and Gadsden County Sheriff Morris Young… Political Action?